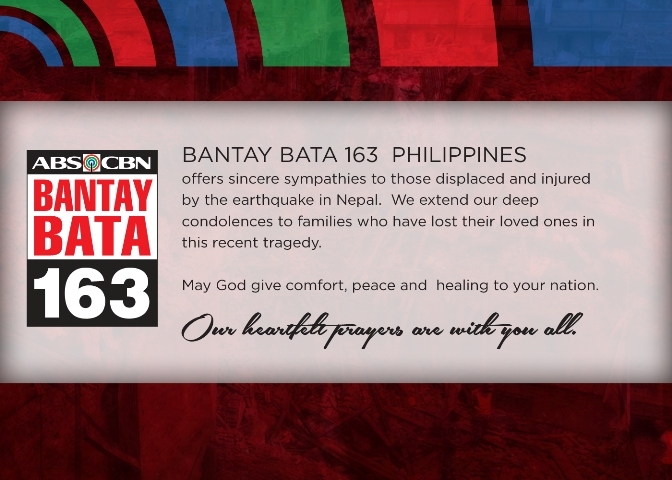 Bantay Bata 163 Philippines offers sincere sympathies to those displaced and injured by the earthquake in Nepal. We extend our deep condolences to families who have lost their loved ones in this recent tragedy. May God give comfort, peace and healing to your nation. Our heartfelt prayers are with you all.